After the rain-enforced break that threw Jimi Goodwin offstage, on came four punks / stoners / who knows? in the form of Parquet Courts. 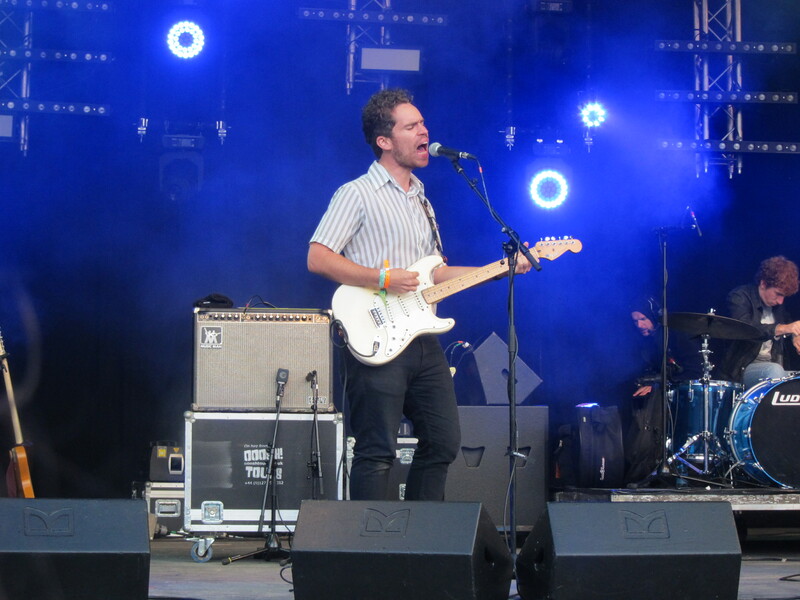 Hailing from Brooklyn, New York, Parquet Courts were perhaps one of the most highly anticipated bands to play Glastonbury this year. They arrive fresh from a brief tour of the UK including a date at University of London which, according to a friend of mine was “superb”. 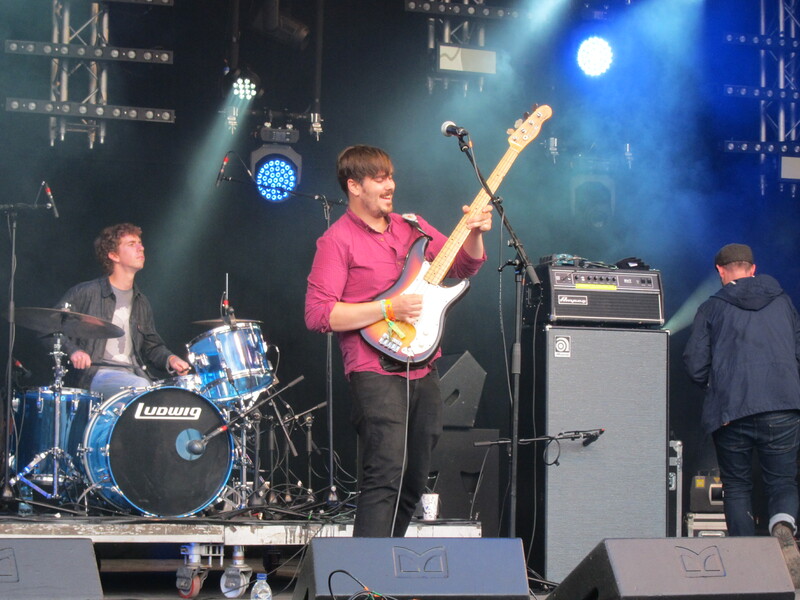 Consisting of Austin Brown (guitar, vocals), Andrew Savage (guitar, vocals), Sean Yeaton (bass) and Max Savage ** (drums), Parquet Courts first came to prominence with their second album “Light Up Gold” released in 2012 but which only really found traction last year. 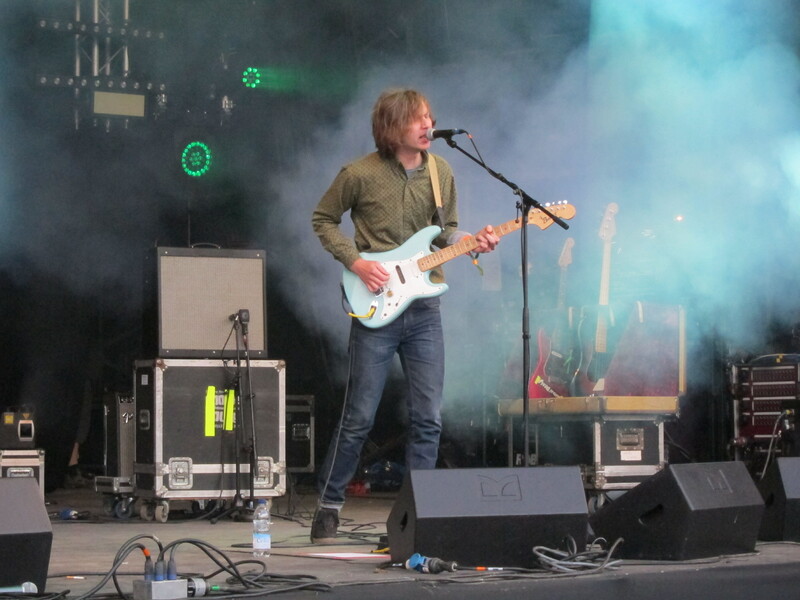 Some sparkling reviews led to tours in the USA and UK alongside comparisons to The Strokes and Pavement. The album opens with two no-nonsense tunes “Master of my Craft” and “Borrowed Time” – both of which got an airing today – that crash straight into one another to grab the listener’s attention whilst the rest of the album has sufficient depth to be classified as a “grower”. It has certainly seldom left my turntable in 2014. With a punk style, tunes that get to the point quickly and pithy, satirical lyrics on the likes of (the sadly absent) “Careers In Combat” (The lab is out of white lab coats / there are no more slides or microscopes / but there are still careers in combat, my son) Parquet Courts mix attitude with great songs. New album “Sunbathing Animal” continues the garage punk agenda, with the title track in particular being a speeding brutal monster of a song with more bite than Luis Suarez eating an Italian. 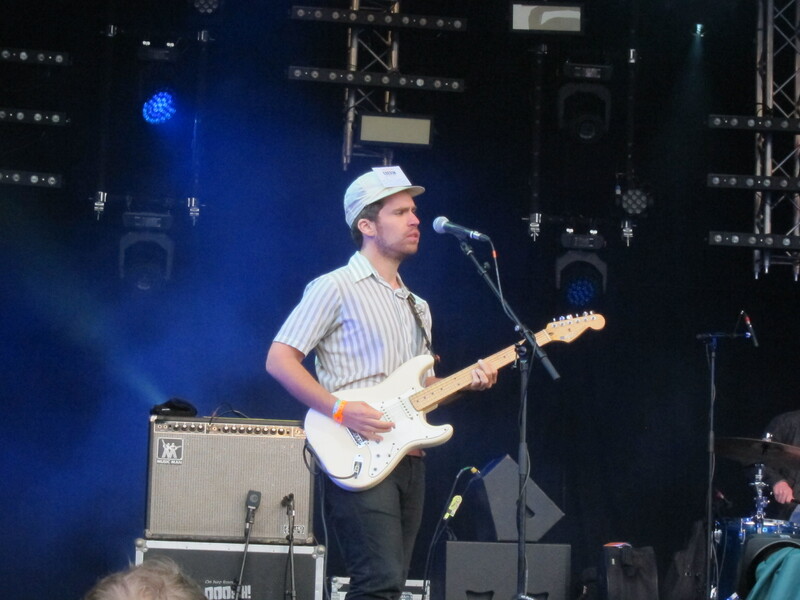 So how would Parquet Courts’ particular style appeal to a festival crowd? 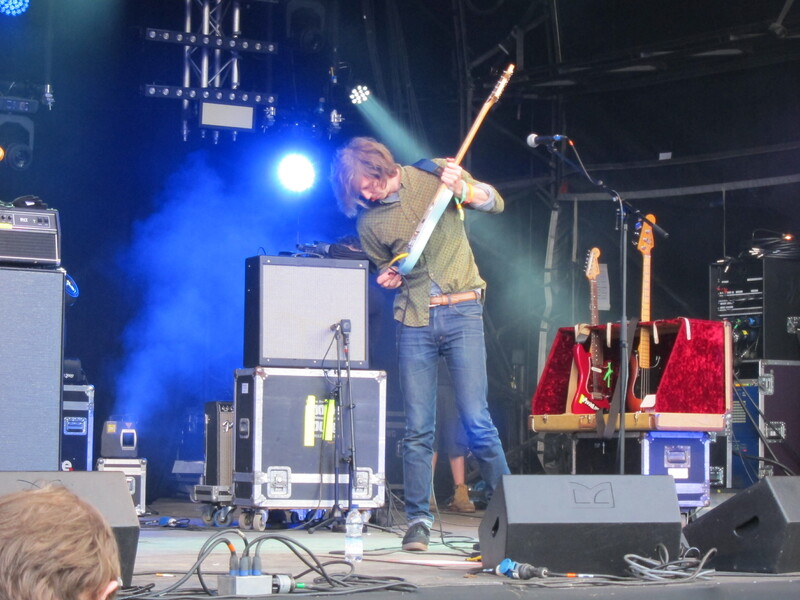 Uncommunicative, save for a slightly dry “Thanks Glastonbury”, this was a set of alternately punk and stoner rock. Such is the contrast between the jarring spiky punk from “Light Up Gold” and the laid back drone of much of the “Sunbathing Animals” album that you wondered if they just hadn’t switched their choice of recreational drugs in the making of each album, a contrast highlighted as each album’s songs were woven next to the other. As Brown and Savage exchanged vocals, flanking Yeaton who stood front and centre, they played a storming set. 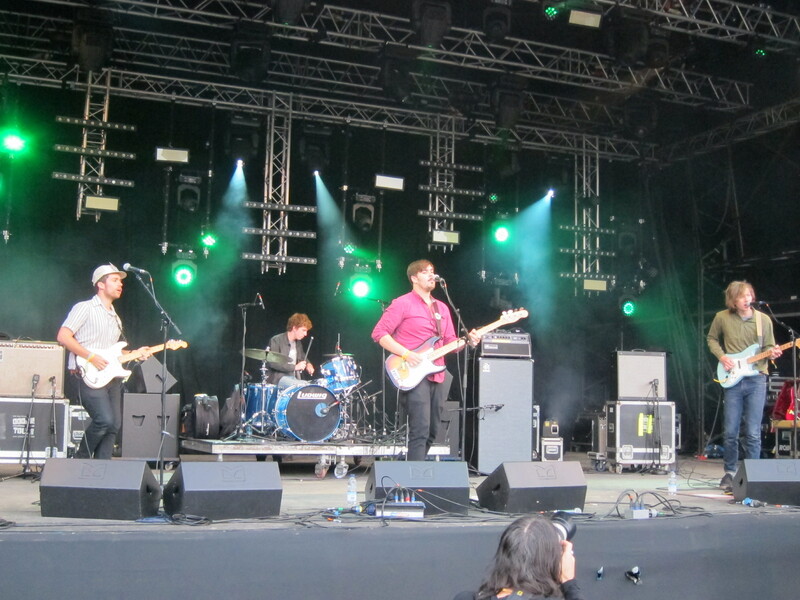 Parquet Courts is a band that may not have the most mass appeal, but they nevertheless attracted a big crowd, and are the kind of band that may change people’s lives, in the same way that Velvet Underground or The Strokes did. * They certainly won’t be as popular as either, but for those that care, this a very special band. Do see them if you get the chance. * Or perhaps even in the way Take That did. ** Max Savage surely being one of the great “rock drummer” names alongside Rikki Rocket and Bobby Rock. Looking forward to seeing them at Latitude. They’re a strange band – I’d be interested to hear what you think of them.